Landmark Hotel Group is a dynamic, growing, and independent hotel management company which owns, operates and develops some of the industry’s finest brands including Marriott, Hilton, Hyatt, InterContinental, Carlson and Choice Hotels. 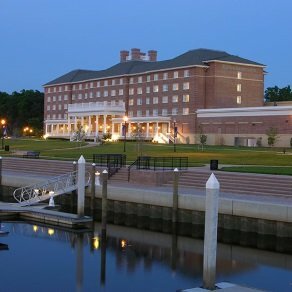 With an award winning portfolio of 13 hotels and nearly 1,400 guest rooms currently under management, LHG has a reputation as a leading hospitality management company in the Mid-Atlantic region. Leveraging off more than 34 years of experience in the hospitality industry, Landmark Hotel Group offers an unrivaled track record of producing investment returns well in excess of industry benchmarks, while maintaining award-winning quality standards. A privately owned company with its corporate headquarters in Virginia Beach, Virginia, Landmark’s corporate team leads a workforce of over 500 highly-skilled associates dedicated to deliver exceptional and authentic guest experiences. Landmark Hotel Group is a leading hospitality company specializing in the management, ownership, and development of fine hotels. Founded in 1983, Landmark has built a reputation for quality hotels, exceptional service, loyal associates, and unwavering integrity. With a current portfolio of 13 award-winning hotels, the company has strong relationships with leading hotel franchisors such as Marriott Worldwide, Hilton Hotels, Hyatt Hotels, Intercontinental Hotels Group, Carlson and Choice Hotels. Along with its people and its customers, Landmark highly values its community involvement including partnerships with organizations such as Operation Smile and the Children’s Hospital of the King’s Daughters. 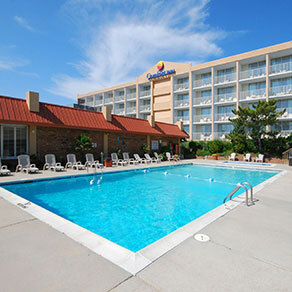 Landmark Hotel Group is headquartered in Virginia Beach, VA and employs over 500 hospitality professionals. To be the benchmark of the hospitality industry by constantly exceeding the expectations of our guests, our associates and our financial stakeholders. To deliver consistent, heart-felt service with an enthusiasm that makes our guests feel at home and appreciated. Our success is driven by our people. We must create an environment promoting development, loyalty, trust and team spirit. If we take care of our people, they will take care of our guests. We must be held to the highest ethical standards by conducting ourselves with honor, respect and fairness at all times. We must be recognized for our clean, fresh and attractive facilities. Quality and safety are the responsibilities of every associate and we must take pride in all the services we provide. We must provide consistent, heart-felt service that exceeds expectations. We must deliver this service excellence in a friendly, enthusiastic and professional manner at all times. New Landmark Hotel Group website launched! 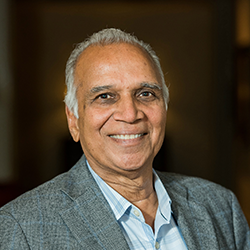 In 1983, Mr. Jain founded what is now Landmark Hotel Group with the purchase of his first hotel in the Outer Banks of North Carolina. Since then, he has developed/acquired over $150 million in hotel assets during the last 25+ years. Under his astute leadership, Landmark has achieved a proven record of producing investment returns well in excess of industry benchmarks, while maintaining award-winning quality standards. As Chairman, Mr. Jain is responsible for providing guidance and expertise for the company’s long-term vision, financial strategies, and growth. Prior to launching his hospitality career, Mr. Jain held various project management positions with General Electric Company during a 14-year tenure. Mr. Jain holds a Graduate Degree in Industrial Engineering from UC Berkley and a Bachelor of Science in Mechanical Engineering from IIT Bombay. Mr. Jain oversees all aspects of Landmark’s activities including business strategy, operations, asset management, and investment policy. Additionally, he is responsible for the company’s development activities including new property development, acquisitions, capital transactions, and deal structuring. He brings over 20 years of operational and development experience to the company. Prior to his current role, he oversaw the finance and development activities of the company and has successfully held numerous positions in resort hotel operations working his way from a line-level team member to General Manager. Mr. Jain serves as a director on the boards of various organizations including TowneBank, the Coliseum Central Business Improvement District, and the Children’s Hospital of the King’s Daughters Health Systems Board. He also serves as a member of the Hampton Roads Community Leadership Partners, Virginia Beach Vision, and 757 Angels. 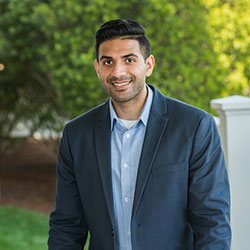 Mr. Jain graduated with distinction from the Cornell School of Hotel Administration with a Masters of Management in Hospitality and the University of Virginia with a Bachelor of Science in Commerce. Mr. Rahil joined Landmark Hotel Group in 1990 and is responsible for all hotel operations within the company’s portfolio. Within this role, he oversees hotel profitability, guest satisfaction, capital expenditures, and operating budgets. Under his leadership, Landmark’s hotels have consistently received numerous recognitions for outstanding quality including “Holiday Inn Express Renovation of the Year”, “Crowne Plaza Quality Excellence” and “Country Inn & Suites Renovation of the Year”. Mr. Rahil brings over 35 years of hotel and restaurant experience to the organization. Prior to joining the company, he worked in food & beverage management positions and General Manager positions with Pratt Hotel Corporation and Victor Management Company. Mr. Rahil received his Bachelor of Science in Business Administration from Cleveland State University. 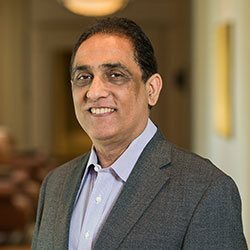 Outside of the office, Mr. Rahil is an active member on several boards in the local community, serves as the Chairman for his temple and enjoys spending his weekends raising small animals on his farm in North Carolina. Ms. Marcelo-Glenn is responsible for the leadership and operations of multiple hotels within the company’s portfolio. At each property, she ensures hotel profitability, guest satisfaction, and associate satisfaction. She also assists the Vice President of Operations with the company’s portfolio of hotels in other aspects relating to operations. Ms. Marcelo-Glenn brings over 27 years of hotel management experience to the organization. 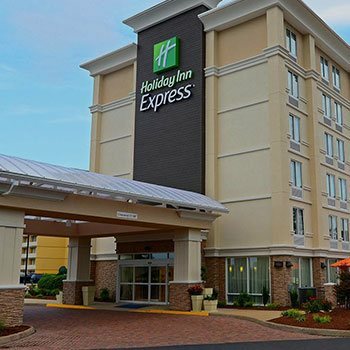 Prior to joining Landmark Hotel Group, she held numerous management positions such as Area General Manager, Director of Revenue, Human Resources Administrator, and Food and Beverage Manager with companies including LTD Hospitality Group, Tidewater Hotels & Resorts, Victor Management Company and Hudgins Management Company. 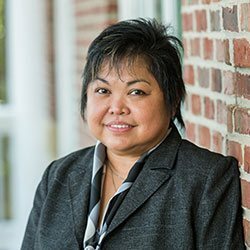 Ms. Marcelo-Glenn has served on numerous tourism and community councils and is currently serving on the Tidewater Community College Hospitality Advisory Committee. She received a Bachelor of Science in Business Administration from Philippine Women’s University. She took Business Management and Hospitality courses at Old Dominion University and Tidewater Community College. Ms. Marcelo-Glenn has also completed her certification for Strategic Human Resources Leadership from Cornell. Her passion for heartfelt hospitality and dedication to the future of the industry are highly instrumental in defining and promoting service culture aligning associate strengths and business requirements for Landmark Hotel Group. Mrs. Shelton leads all sales and marketing efforts for the Landmark Hotel Group portfolio. She supports the sales team by teaching sales processes and techniques to achieve top line revenues. In addition, she oversees sales initiatives and is responsible for developing and maintaining business relationships within each of Landmark’s hotel markets. Mrs. Shelton received her Bachelor in Arts from Longwood University and embarked on her hospitality career in 2004 as a corporate and SMERF sales manager for the historic Cavalier Hotel in Virginia Beach, VA. 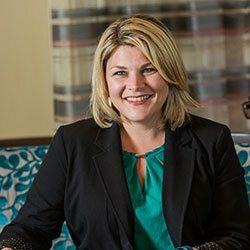 In 2005, she joined Landmark Hotel Group, as the Director of Sales for the Candlewood Suites Virginia Beach. During her time as Director of Sales, she developed a specialty in the government segment, and accepted the added responsibility of also managing government sales for other LHG properties. In 2015, she was promoted to Corporate Director of Sales and Marketing for Landmark. Mrs. Shelton represents Landmark in various organizations including the Society of Government Travel Planners, Virginia Business Travel Association, American Bus Association, Virginia Motorcoach Association, and National Defense Transportation Association. She has spent time volunteering and supporting CHKD, Operation Smile, and March of Dimes. Mrs. Shelton enjoys spending time with her husband, Jim, and daughter, Addison, and is an avid dance fitness aficionado. In recent years, she has participated in various local running events and completed her first Tough Mudder. She can often be found on family bike rides that always seem to lead to the neighborhood Skinny Dip Frozen Yogurt Bar. Her favorite family vacation memories involve mouse ears and princess castles and when given a choice of hotels she’s always an extended stay girl at heart. As Director of Revenue Management, Ms. Saxena is responsible for leading and monitoring all the revenue management efforts of Landmark Hotel Group. She oversees all processes associated with pricing, forecasting, and inventory management. Ms. Saxena started her hospitality career in 2000 in food and beverage service with Oberoi Hotels, a leading luxury hotel chain in Asia. In 2006, she graduated from Cornell University with a Master of Management in Hospitality. 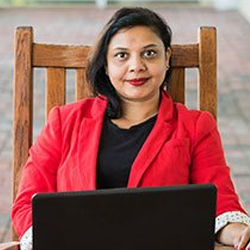 Soon after, she joined The Ritz-Carlton Tysons Corner, Virginia as a Quality Manager. During her tenure with The Ritz-Carlton Hotel Company, she worked in quality management, reservations, and revenue management. She brings with her not only a very comprehensive understanding of hotel operations and revenue management, but also a passion for the hospitality industry and for working with data to drive hotel performance. As company Comptroller, Ms. Tison is responsible for all accounting functions within the organization. Her duties entail property auditing, preparation of profit/loss statements, payroll administration as well as management of accounts payable and receivable for all the Landmark hotels. In her 22 years with the company, her accounting responsibilities have grown from 4 assets to 14 currently. 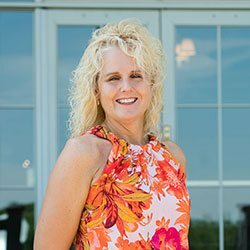 Ms. Tison started her 26-year career in the hospitality industry as a group sales associate at The Pines Resort Hotel in the Catskill Mountains of New York. Prior to joining Landmark Hotel Group in 1995, she had extensive operations experience as a Front Office Manager and Accounting Supervisor with several resort hotels. She received her Associate Degree in Travel and Resort Marketing from Cobleskill State University. As the Development and Acquisitions manager, Mr. Barot leads the company’s development process from project conception to completion and the acquisitions process from property identification to closing. In addition to his duties of identifying sites for development and properties for acquisition, Mr. Barot is also responsible for all underwriting and valuation efforts. He recently graduated with honors from the University of Southern California with his Masters in Real Estate Development. Prior to attending USC, Mr. Barot was a Financial Analyst with CBRE Hotels where he was actively involved with the underwriting and market analysis of hotel and resort properties and a part of the Central Support team, supporting several hotel brokerage teams nationwide. In addition to his financial background, he brings nearly 10 years of operational experience. 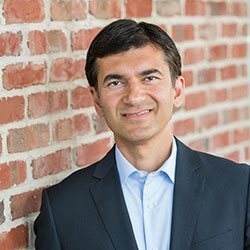 Mr. Barot graduated from the University of Virginia with a Bachelor of Arts in Economics and is an active member of the ULI, TowneBank’s Leadership Alliance Board, and the Young Hospitality Investment Professionals (YHIP) group. Mr. Barot is an automotive enthusiast and loves to travel in his free time. Mr. Ayala oversees all of the company’s physical assets and is responsible for their function, safety, and capital improvements. He also assists in the project management of all new construction and renovation projects. He has over 23 years of experience within the construction management industry, with 12 of those years as a Virginia Class “A” General Contractor/Builder. 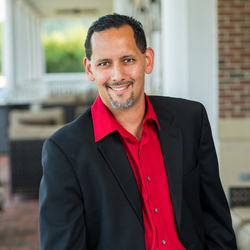 With a passion for serving others, Mr. Ayala served as a distinguished member of the United States Navy and then built a career in hospitality most recently serving as Assistant Director of Engineering at the Hilton Downtown Norfolk. Mr. Ayala graduated from Tidewater Community College with an Associates’ Degree in Business and ECPI University with a Bachelors’ Degree in Engineering. He volunteers his time as a teacher’s assistant, sports coach, and mentor at Portsmouth Christian Schools. 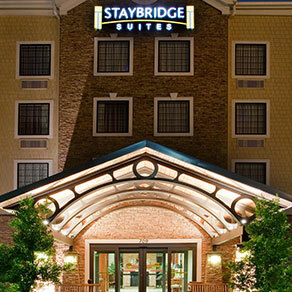 Landmark Hotel Group is widely recognized as one of the Mid-Atlantic region’s premier hotel management companies. Our operating platform includes major brands such as Marriott, Hilton, Hyatt, InterContinental, Carlson and Choice Hotels. Our highly-dedicated team understands how to deliver results to our investors and personalized experiences for our guests. With a focus on both hotel renovations and repositioning as well as ground-up development, Landmark Hotel Group leverages a comprehensive understanding of markets and brand requirements with years of experience and industry connections to source unique opportunities. From project conception to completion and from property identification to closing, our team at Landmark will provide assistance through every phase of the development and acquisitions process. In addition to our hands-on Hotel Management and Hotel Development capabilities, our team provides a wide range of hospitality advisory and consulting services. Our expertise arises from our experience across several Mid-Atlantic markets and property types and allows us to add significant value for our clients. 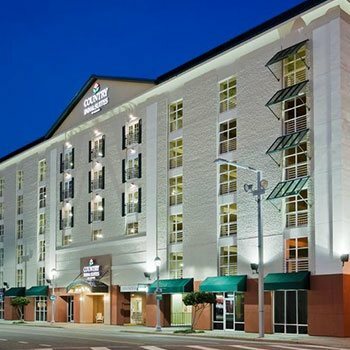 Landmark Hotel Group is widely recognized as one of the Mid-Atlantic region’s premier hotel management companies. Our operating platform includes major brands such as Marriott, Hilton, Intercontinental, Hyatt and Carlson. Our highly-dedicated team understands how to deliver results to our investors and personalized experiences for our guests. Want to see some of our latest job opportunities available? View our most recent job vacancies for the Landmark Hotel Group as well as our associated hospitality properties by clicking on the Join Our Team button below!